This new book represents a complete rewriting of Romila Thapars hugely successful HISTORY OF INDIA - VOLUME ONE, thirty-four years after it was first published. 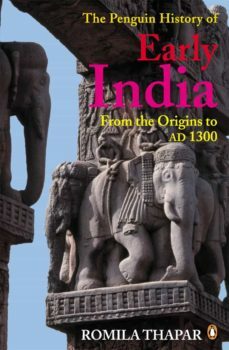 Incorporating the vast changes in knowledge developed during her lifetime, Thapar tells the extraordinary story of this great civilisation - a civilisation always based on diverse, often warring sources and that left the astounding buildings and beliefs that still fill India. This book is the authoritative history told with style andmeticulous attention to detail by the worlds leading authority.